The font and font size you set for a console window will only be applied to the specific console window shortcut that opened it. 1. 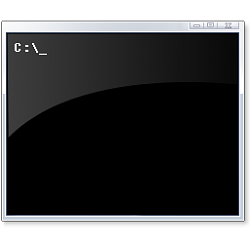 Open a command prompt, elevated command prompt, PowerShell, elevated PowerShell, or Linux console window you want using the shortcut or location you want to change the font and font size for. You can see a preview of your font changes at the bottom to see if you like it or not before clicking on OK to apply. That doesn't work for .bat files, got any ideas? I just tested on my system, and it was working for me. What I did was run the .bat file with a "Pause" command in it. This way I could adjust the properties how I wanted, click on OK, and close the command prompt. Afterwards, you can remove the "Pause" command from it. Hello Brink, well the joke is on me. I changed the font through the "Default" settings and it did not work. I went to "Properties" and now it is working. A strange thing happened, I had set the "Default" to 38 and the "Properties" and "Properties" took the lead setting "Font" to 18. I just ran a batch file and the font was set to 38, so apparently, both "Default" and "Properties" must be set to make this work. Defaults never did anything for me other than be a reference. Normally, you should only need to set Properties. And who said I was normal????? LOL, I can certainly relate to that. How do I change the font size of my desktop icons in Windows 10 ? In old versions of Windows you could do that thru Control Panel\Display\Appearance But i don't see that in Windows 10 Anyone know how to do it ? Thank You.